While the role of financial considerations in higher education student dropout is being recognized increasingly, the dominant international literature fails to reflect the extent of socio-economic deprivation among students in countries where many people live below the poverty datum line. This article draws on a study of student retention and graduate destination at seven HE institutions in South Africa, focusing on the University of the Western Cape which caters for a large proportion of impoverished students. The study found many students left before completing a qualification because they were too poor to stay. A model of student departure is presented which draws on the very influential work of Vincent Tinto but also allows for greater emphasis than he did on students’ ability to pay (real or perceptual) and demarcates the times in the academic calendar when finances present their greatest challenge to retention. The model also invites consideration of the national and international factors which impact on the social/economic/political milieu in which students’ persist-or-depart decisions are made. I wish to acknowledge the role of Moeketsi Letseka who co-ordinated the HSRC study and Mariette Visser who managed the data and developed the raw tables on which much of my analysis in this paper is based. I am also grateful to Pieter Le Roux and Tim Dunne for commenting on early drafts of this paper. However, the analysis in this paper, including the narrative, tables and figures, is ultimately my own and I accept sole responsibility for any imperfections or misinterpretations. HESA (Higher Education South Africa) (2008). Tuition Fees: Higher education institutions in South Africa. Report of HESA task team. www.hesa.ac.za. Mangan, J., Hughes, A., & Slack, K., (2010) Student finance, information and decision making. 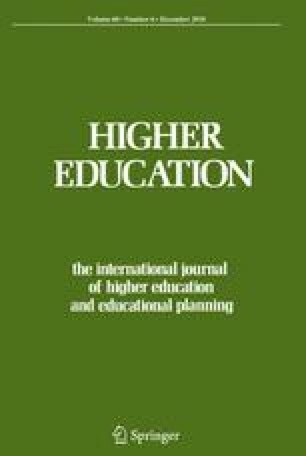 Higher Education, doi: 10.1007/s10734-010-9309-7…. Statistics South Africa (2007) Community Survey 2007. Revised edition. Statistical Release P0301. 24 October 2007. Pretoria: Statistics South Africa. http://www.statssa.gov.za/community_new/content.asp Accessed 28 February 2010.